Banned Books display at Powell's in Portland, Ore. Banned Books Week is underway, and we'll be showcasing some of your creative events, displays, social media posts and more. Let us know some of the unusual ways your bookstore or library is celebrating. An Unlikely Story, Plainville, Mass. : "Happy #BannedBooksWeek, the week customers ask why all of their favorite books are on one table. #wordshavepower." Galaxy Bookshop, Hardwick, Vt., is launching the "Busy Person's Book Club," for which "participants are invited to take a book related to the month's theme or genre that they can share and discuss with the group." The inaugural theme is "banned or controversial." The Curious Iguana bookstore and Flying Dog Brewery's 1st Amendment Society in Frederick, Md., have organized a Banned Book Search throughout the city. Anyone who finds a book can keep it and is invited as a VIP guest to the Curious Iguana and Flying Dog's Cheers to Freedom party on October 1. River Lights Bookstore, Dubuque, Iowa: "Join the fun! Stand up (or better yet, sit in a comfy chair) and read a Banned Book this week. 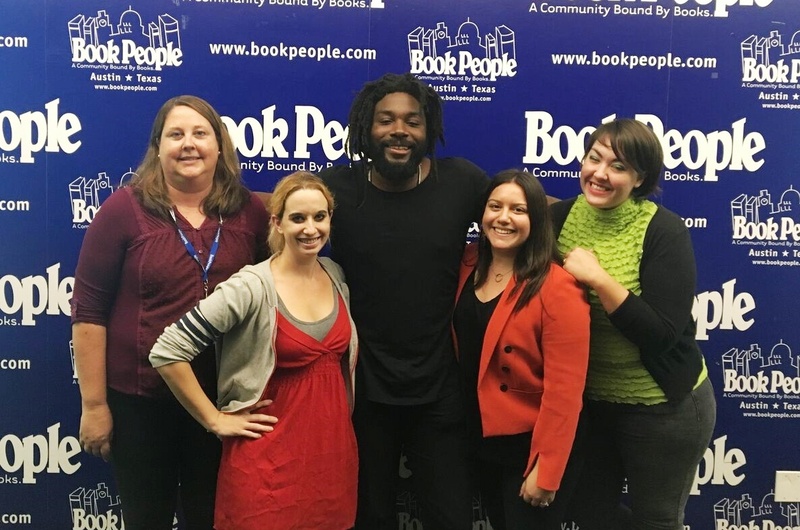 We still have a few openings...."
Eugene Public Library, Eugene, Ore.: On Sunday, people of all ages were "invited to drop in at the Downtown Library to create a green screen photo posing 'with' your favorite controversial author, current or historical." Garden District Bookshop, New Orleans, La. : "Books allow us to get inside people other than ourselves, they show us the world through other people's eyes. Just one of the reasons during Banned Books Week and throughout the year we stand up for your Right to Read." Aardvark Books in San Francisco "is set to depart its longtime location at 227 Church St. (and Market)," Hoodline reported, adding: "In the neighborhood since 1978, the independently-owned shop sells new and secondhand books, magazines, graphic novels and ephemera." The building that houses Aardvark has been put on the market for $2.8 million, and the listing indicates that it will be delivered vacant once the sale closes. The bookstore posted a message last night on Facebook: "We know that many of you learned today that our building has been put on the market. We want you all to know that although the building is on the market, it has not yet been sold. It is uncertain what our future will be. "If the building is sold, we will remain open at least through the winter holidays. If Aardvark closes, we will be sure to let everyone know our plans, but for now we will continue to buy and sell books like normal. We hope to see you in the store soon and that you will continue supporting independent bookstores." For anyone concerned about the shop's popular resident cat, the message concluded: "And, on a side note, Owen is in no danger of homelessness." Book World Opening Store in Jefferson City, Mo. 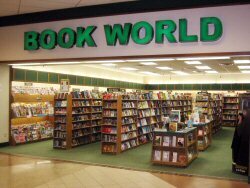 Book World, which operates more than 40 bookstores in Wisconsin, North Dakota, Minnesota, Illinois, Iowa and Michigan will be adding its first Missouri store, at Capital Mall in Jefferson City, the News Tribune reported. "We expect it to do very well," said Gregg Belonger, Book World's director of store operations. An October 3 opening is planned, as work on the store's interior is nearly done. "We should have it 99% by the end of the day Thursday." He added that for a small company, the new location is "getting to be a stretch. I don't know that we could go much further away from our home office. But from the looks of it, it's certainly worth giving it a chance." Although some financial observers say they expect Barnes & Noble to cut its relatively high dividend, the company's board voted last week to pay another quarterly dividend of 15 cents next month, maintaining its annual rate of 60 cents. At B&N's current share price of $7.75, the dividend yield is 8.3%. Bloomberg said earlier this month that the company will likely cut the dividend by half "soon." And over the weekend, Seeking Alpha wrote that "on the surface, [B&N] is a very attractive dividend stock, because of its extremely high yield... however, the company's deteriorating fundamentals have called into question whether the dividend is sustainable." The article is rather harsh about B&N's business prospects, with some dated observations like "physical bookstores are on the way out." But it points out that B&N's sales have declined steadily over the past five years. Moreover, in fiscal 2017, Seeking Alpha observed, "the company did not fully cover its dividend with earnings--earnings-per-share of $0.30 were half the $0.60 per share annualized dividend." But free cash flow just did cover the dividend, which amounted to $43.8 million. 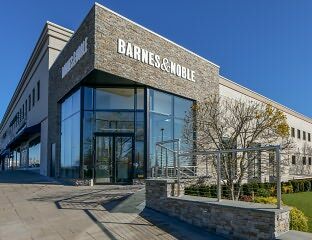 Earlier this month, in a conference call with analysts, B&N's new CEO Demos Parneros emphasized that trade book sales had their best quarterly performance in two years; B&N sees a strong lineup of titles for the fall; the company is working on a new smaller store prototype; the pilot of a "ship-from-store program" for online sales is expanding; the company continues to review its store leases with an eye to "identifying opportunities to open new stores in new markets as well as opportunities to relocate stores as their leases expire instead of simply vacating markets"; and it continues to refreshen stores, improve merchandising and strengthen customer service. These efforts, Parneros says, will revitalize B&N. And with that, increased sales should help make the dividend sustainable and lift the company's share price. PubWest has launched a GoFundMe "Next Generation Campaign" to raise funds for the Jack W. Swanson Scholarship, which is designed "to help aspiring publishers thrive in the publishing industry." PubWest aims to raise enough money so that the Jack W. Swanson Scholarship can send five scholarship recipients--publishing interns or first- and second-year publisher employees--to the annual PubWest Conference, which will be held next in Pasadena, Calif., February 15-17, 2018. The scholarships cover conference tuition, travel, lodging, conference intensives, and other optional events. Donations to the GoFundMe campaign, which has a goal of $5,000, can be made here. "PubWest firmly believes in the future of publishing, and as a long-standing trade association, one of our central roles is to promote publishing as a lifelong profession," said PubWest executive director Kent Watson. "The career trajectory of past scholarship recipients has been incredible, and this year we decided to extend our fundraising outreach to all industry professionals who want to support the next publishing generation." The Nordstrom Way to Customer Experience Excellence: Creating a Values-Driven Service Culture by Robert Spector (Wiley), a new, completely revised edition of the business book classic that updates the Nordstrom story. 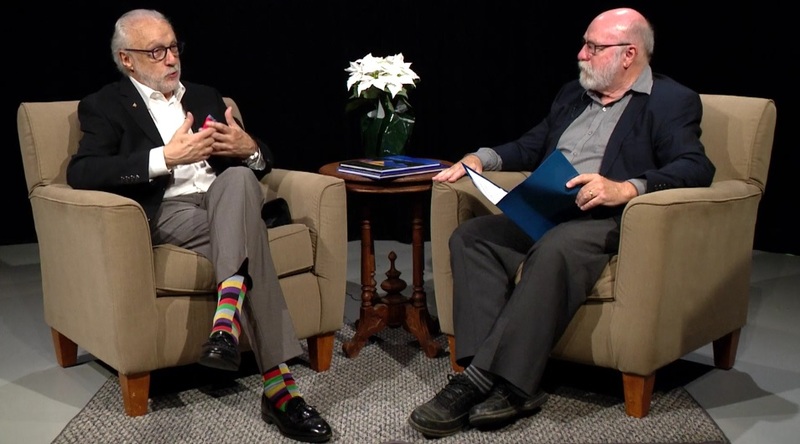 The video features an interview of the author by former Village Books co-owner Chuck Robinson. At Diamond Comic Distributors, Josh Hayes has been promoted to head the book market division, Diamond Book Distributors, as executive v-p. He was formerly director of e-commerce business development. He joined Diamond in 2002 as national sales manager, then was promoted to associate director of sales and marketing of the book division and director of sales and marketing before leaving in 2012. For three years, he worked for Lighting Supply Company and Fiat Chrysler Automobiles before returning to Diamond. Earlier he worked at Borders as a senior planner/analyst and buyer for Waldenbooks. Diamond v-p of sales and marketing Roger Fletcher said, "DBD has grown tremendously over the years, expanding its services and results to the point where we decided the time was right to put Josh in place to propel the business into the future." At the same time, Kuo-Yu Liang, who has been v-p of sales and marketing, Diamond Book Distributors, and founded the division in 2003, will become v-p of international sales and business development of Diamond Comic Distributors. Fletcher commented: "We've always been aggressive about finding new international markets for English language comics and graphic novels, and Kuo has been a big part of that success. He has a fantastic ability to prospect for new revenue and has great connections in place to build our sales internationally." Effective January 2018, Publishers Group West will sell and distribute Tuttle Publishing to the industry. PGW already handles Tuttle's e-books, which will continue. It will also handle the publisher's gift sales. Founded in 1948 as Charles E. Tuttle Company, Tuttle Publishing, North Clarendon, Vt., includes Periplus Editions and Journey Editions, and has an Asian focus, covering design, cooking, arts and crafts, martial arts, language, travel and spirituality. Tuttle has published more than 6,000 books and has an active backlist of about 1,700 titles. It publishes some 150 new titles a year. A Year in the Wilderness: Bearing Witness in the Boundary Waters by Amy and Dave Freeman (Milkweed Editions). Marketplace Morning Report: Muhammad Yunus, author of A World of Three Zeros: The New Economics of Zero Poverty, Zero Unemployment, and Zero Net Carbon Emissions (PublicAffairs, $28, 9781610397575). Fresh Air: Candice Millard, author of Hero of the Empire: The Boer War, a Daring Escape, and the Making of Winston Churchill (Anchor, $17, 9780307948786). Sirius XM's Town Hall: Hillary Clinton, author of What Happened (Simon & Schuster, $30, 9781501175565). Fox's Making Money with Charles Payne: Jordan Belfort, author of Way of the Wolf: Straight Line Selling: Master the Art of Persuasion, Influence, and Success (North Star Way, $26.99, 9781501164286). Late Show with Stephen Colbert: Michael Bloomberg, co-author of Climate of Hope: How Cities, Businesses, and Citizens Can Save the Planet (St. Martin's Press, $26.99, 9781250142078). Showtime "has won the latest hotly contentious presidential race" by acquiring the rights to adapt The President is Missing, the upcoming novel from President Bill Clinton and James Patterson, into a TV series. Indiewire reported that the book, which is scheduled for release next June by Knopf and Little, Brown, "tells the story of what happens when a sitting U.S. president suddenly disappears. Clinton, who's long been a fan of Patterson and political thrillers, brought his insider knowledge of what it's like to hold the most powerful office in the land." "I'm really enjoying writing this book and working with Jim, and I can't wait to see Showtime bring the characters to life," said Clinton. Indiewire noted that "insiders said Clinton and Patterson met with at least 16 different outlets while pitching the project. Showtime had a bit of an edge, however, thanks to Clinton's long-standing relationship with CBS chairman/CEO Leslie Moonves. (CBS also produces and airs Zoo, which Patterson executive produces.)" In an unfortunate choice of words, David Nevins, Showtime Networks president/CEO, called landing the book "a coup of the highest order," adding that the "pairing of President Clinton with fiction's most gripping storyteller promises a kinetic experience, one that the book world has salivated over for months and that now will dovetail perfectly into a politically relevant, character-based action series for our network." Patterson commented: "The White House is such an exciting world to explore and is made even more so with the unique insights of a former President. Rich storytelling opportunities for this series abound." The Society of Children's Book Writers & Illustrators announced this year's winners of the Sue Alexander Award and Most Promising Picture Book Award, which were chosen from manuscripts submitted for individual critiques by editors and agents at the SCBWI Annual Conference in Los Angeles. Christine DeHerrera's Jeezus Geeks & Rainbow Freaks (YA realistic fiction) won the Sue Alexander Award, which is given to "the manuscript deemed most promising for publication." She will have her synopsis presented to a group of editors and agents. Meg Lentz's This Door took the Picture Book Award, which recognizes "the picture book manuscript with the most promise." She receives $500 to finish the work-in-progress. 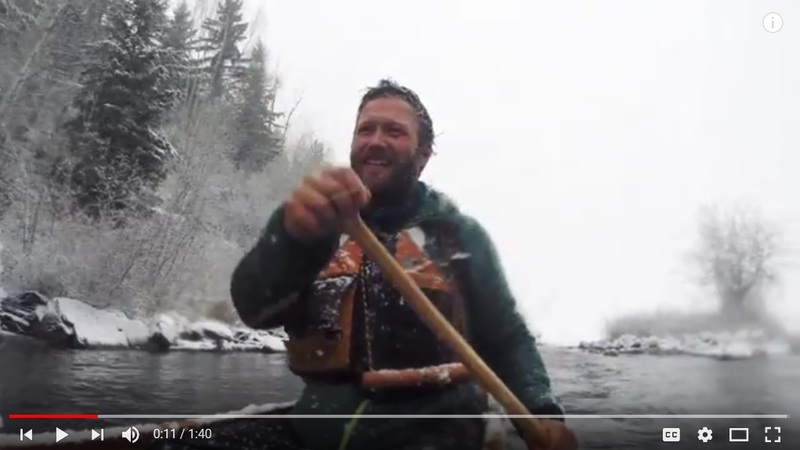 David Philipps (Lethal Warriors), a Pulitzer Prize-winning correspondent for the New York Times, lives on the eastern slope of the Colorado Rockies. On the other side and west, to California's Sierra Nevadas, lies the Great Basin, the thinly populated land that is home to wild horse herds growing so fast that nobody knows quite what to do with them. Wild Horse Country is Philipps's illustrated investigation into the history, politics, legends and management of these storied symbols of America. Descended from strays, the wild horse "is not pedigreed. It has no stature.... It is beholden to no one. It will not be subjugated." No wonder it is the United States' only animal besides the bald eagle to be protected by specific national law--and no wonder this law has created such philosophical, financial and emotional drama. Like a good reporter, Philipps goes where the story is. This is a place where there are "no fences, no power lines, no road signs, no roads"--a place that one Nevadan describes as "nothing but miles and miles of miles and miles." He interviews paleontologists who verified the presence of early horses in North America 50 million years ago. He describes the Spanish explorers' reintroduction of the horse in about 1500, and its adoption by Native American Indians. His research uncovers the very profitable killing of mustangs in the 1920s for Ken-L Ration dog food (marketing spokesdog: Rin Tin Tin) and perhaps the first animal rights activist, Frank Litts, who bombed the slaughterhouse "because horse slaughter was morally wrong." Similarly impassioned, Velma "Wild Horse Annie" Johnston almost singlehandedly drove the Wild Free-Roaming Horses and Burros Act through Congress in 1971. Since no story of American wild horses can ignore the writers who helped create their mystique, Philipps also explores the backdrop to Zane Grey's 40 pulp novels of the Wild West. However, Philipps reserves more concern for the current state of these inspirational animals. The Federal Bureau of Land Management (BLM) manages the herds. With little budget and a typical bureaucratic snarl of regulations and acronyms, the BLM is trying to deal with a mustang population growing 15% a year. Philipps watches today's helicopter round-ups and interviews the BLM employees directing them. He visits fourth-generation cattle ranchers who hate both the feral mustangs and the BLM bureaucrats. He follows the post-round-up trail to the "holding" ranches in Kansas and Oklahoma, where the government pays out more than a billion dollars in board fees to their wealthy owners every year "trying to preserve a symbol of freedom... [by keeping] it in captivity." The colorful, well-researched and well-reasoned Wild Horse Country concludes with an attempted answer to the wild horse dilemma, "something that could limit the herds without poisoning the legend." His solution is a refreshingly low-cost, simple one--cultivate the mustang's natural predator: the mountain lion. That solution, however, will need money and courageous leadership--things that the BLM and Congress seem to be sorely lacking. Without action, the United States may have more real mustangs than mustang school mascots. --Bruce Jacobs, founding partner Watermark Books & Cafe, Wichita, Kan. 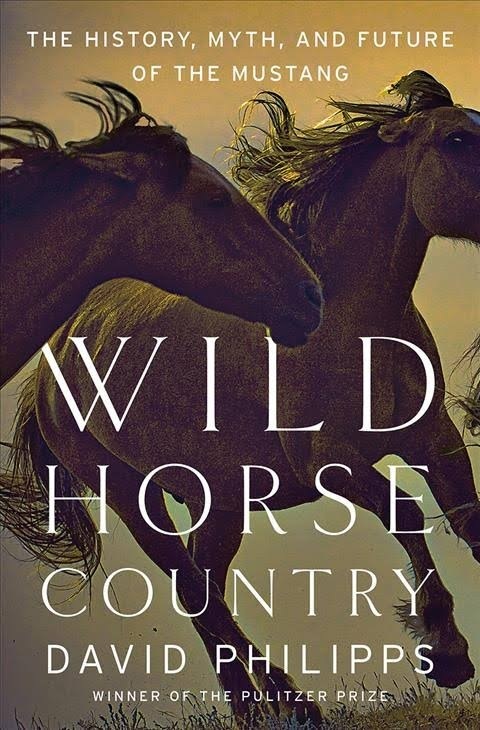 Shelf Talker: Pulitzer Prize-winner David Philipps gets to the heart of the wild horse controversy with a little history, a little mystique, a little humor and a lot of solid investigation.